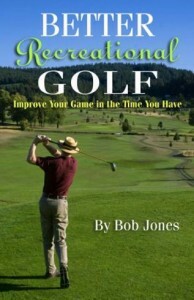 I’ll tell you what got me from being an average recreational putter to a very good recreational putter. I practiced sinking putts. That’s what we’re trying to do, so that’s what I practiced. To be sure, I changed my grip, my stance, and my stroke in order for my mechanics to allow me to hit the putt where I want it to go. You have to have the technical points down or you’re not going to get anywhere. I also got better at reading greens, though that is an ongoing project. 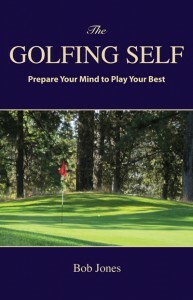 But beyond that, I trained my mind to see a putt as a ball going into the hole. I did this by sinking three-foot putts all over the place on the practice green. Dozens and dozens of three-footers, all going into the hole. By now it’s hundreds and hundreds. Because I’ve done it so often, and continue to do it so often, with such frequent success, my subconscious mind doesn’t know anything else about a putt except that it goes in the hole. Your subconscious mind is not subtle. It is black and white. All it knows is the putt went in the hole or it stayed out. When the ball goes in all the time, the mind comes to believe that’s what the ball is supposed to do, and does not question it. Believe me, sinking putt after putt changes everything. The body starts executing the stroke on that basis, and Voila! Putts in the hole all over the place. Oh, I know, you have to read the green and get the pace right for the ball to have a chance. But when it comes time to hit the ball, it all comes down to believing in what you’re doing. 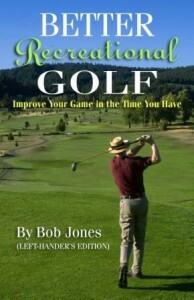 Having sunk oceans of putts creates that belief. Don’t just practice putting. Practice sinking putts.